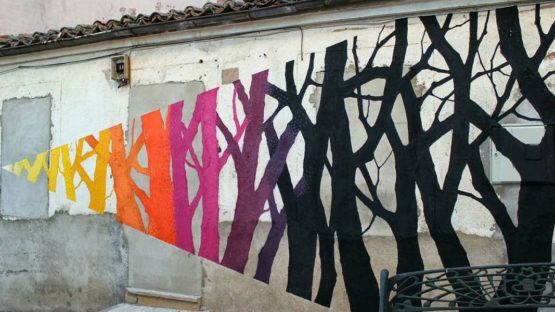 Spanish street artist, Pablo S. Herrero is revolutionizing street art as we know it, replacing the urban with rural. His works are dream-like silhouette climbing on walls, grabbing our attention just like the roots of the tree grab the soil. What is different about Pablo in regards to the usual street artist is his intention to move urban art out of its natural habitat into rural surroundings. He works on decentralized spaces, completely shifting the paradigm of urban art, moving its margins way out of the center of its creation. This, of course, is not something that happens overnight, and it started back in 2008 when “Moviment Senyora” ( Lady Movement) was born. 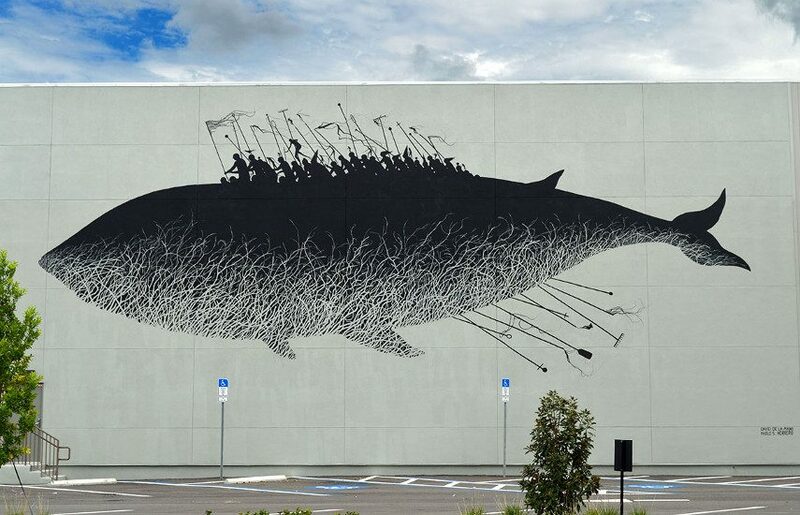 Pablo very often collaborates with David de la Mano, yet another prominent street artist, and this project started alongside him. 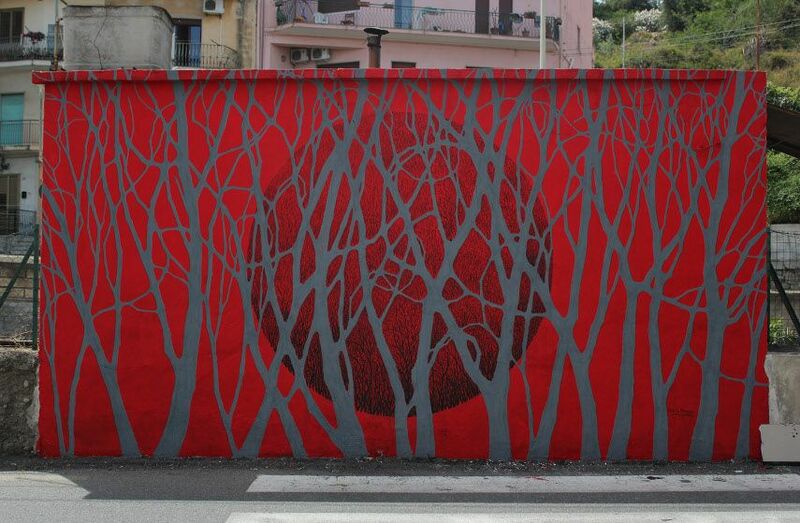 By developing his work in such a way, he is bringing urban art to small villages, forever changing their appearance and charm. Pablo’s focal points are trees and forests. If you had walked around villages and cities, such as Havana (Cuba), Buenos Aires (Argentina), Montevideo (Uruguay) and many others, you definitely noticed his masterpieces that decorate the walls of many buildings. 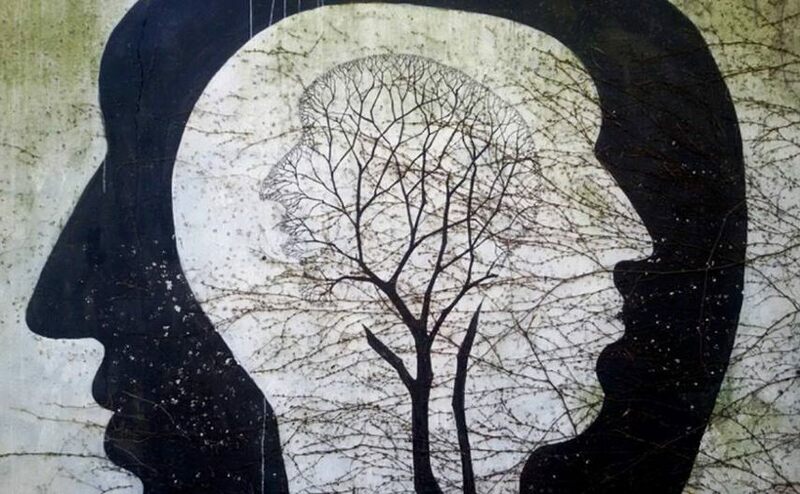 The trees, roots, branches and forests depicted, show us the connection between opposing discourses: just as the artist brought urban to rural, he is bringing life to stillness, nature to concrete, new to old, giving the idiom “concrete jungle” a whole new meaning. Emphasizing the discrepancies, he shows us there are none, and proves how everything in art merges to create an even more beautiful display. Pablo often collaborates with other street artist to create magnificent murals. What arises is a vibrant mix of styles, each in a different dialect, telling one story in the same language. With whomever he works, it is never a question of discerning Herrero’s trees from any other form of expression and style. He often works with David de la Mano, whose monochromatic imagery complements Pablo’s dreamy, a picturesque embodiment of the world, creating poetic shapes with hidden, maybe elusive meaning. These large-scale works keep provoking, and are true food for thought, transcending the visual aspect. Although famous for his murals, Pablo is also well known for his work with ink and paper. The poetic lines exude gloominess and melancholy, and just as though they arrays of trees are bigger than paper, it seems as if they needed to be let go onto a bigger canvas. Conjoining art, concrete, and nature, Pablo reveals the calcination of our society, where his branches are caught in, often friable, cement, when it reveals itself through change, and so does his art, as it is covered with nature’s process of growth, leaving room for hope of a better world. Pablo lives and works in Spain.